Pebble Limited Partnership spent more than $1 million in lobbying efforts last year, according to its lobbying disclosure reports. Alaska Public Media reports that it’s difficult to tell just how much the mining company spent, however. Hear more from Liz Ruskin of Alaska Public Media. See PLP’s 2018 spending summary on Open Secrets. Last week Jason Brune told Senate Resources Committee members that his past work with a former Pebble mine investor won’t affect his position as the commissioner of the Alaska Department of Environmental Conservation. Brune most recently worked as Cook Inlet Region Inc.’s senior director of land and resources, overseeing development and administration of subsurface resources, including oil, gas, minerals sand and gravel, and coal. Brune has also worked as Anglo American’s public affairs and governmental relations, and as executive director for the Resource Development Council. Read Alaska Journal of Commerce reporter’s Elwood Brehmer’s story. Also see a story from the Anchorage Daily News’ James Brooks on the same subject. EE News reported on emails obtained showing that Darrin Munoz, a former colleague of acting EPA Administrator Andrew Wheeler, sought EPA’s help for companies associated with Wheeler, according to the emails, which were obtained by Sierra Club via Freedom of Information Act litigation. The emails bring into question whether Wheeler is properly following ethic rules, and is not recusing himself in making decisions in areas of which he has past business relationships. E&E News reporter Corbin Hiar has the story. “There is no question it’s going to be built,” says Northern Dynasty Minerals’ CEO Ron Thiessen, of the proposed Pebble mine. Investment research company SmithWeekly conducted two lengthy interviews with Thiessen. Topics include how NDM came to acquire the Pebble deposit, funding mechanisms, how the company came to the decision to present a smaller mine footprint, mine design, the EPA, permitting and construction timeline…and chicken poop (Part 2, minute 33:30). 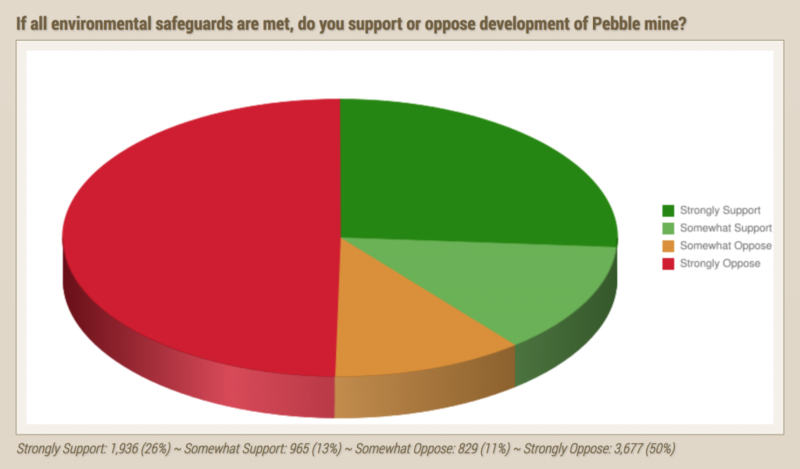 “One of the most controversial issues Alaska’s leaders have ever had to wrestle with is the proposed Pebble Mine. The new governor is no exception.” Alaska Public Media’s Elizabeth Harball and KDLG’s Avery Lill analyze how the new state administration might affect the potential to develop Pebble mine. This hour-long podcast highlights concerns regarding the proposed Pebble mine, focusing on potential effects on bears near the proposed transportation corridor. Hear comments from wildlife viewing guide Drew Hamilton, Cook Inletkeeper’s Bob Shavelson, Alaska Mining Association’s Deantha Crockett, Council of Alaska Producer’s Karen Matthias, and Pebble Limited Partnership’s Mike Heatwole, among others. U.S. regulations for tailings dams are reportedly more stringent than Brazil’s, but a dramatic tailings dam failure near Brumadinho Brazil in late January underscored the importance of mitigating risk at such impoundments, and the need for ongoing oversight long after mines have shuttered operations. Bloomberg’s Stephen Lee talks with tailings dam experts, as well as environmental groups that have raised concerns about existing tailings dam facilities in the United States. Watch video of the Brumadinho tailings breach.